Looking for a USED LB321? 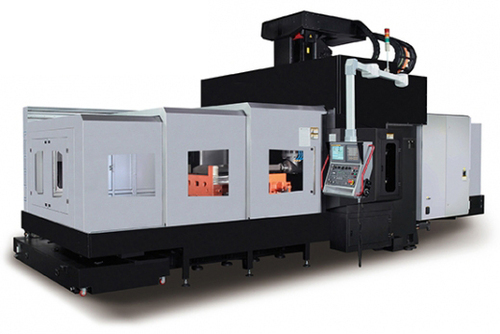 339.8 x 212.6 x 171.2"
The LB321 is a double column, fixed rail bridge machine designed for heavy cutting applications. It features a robust geared-head spindle, a hydraulic counterbalance system on the headstock, and a Meehanite cast iron base. These features allow the machine to excel in the heaviest of cuts. Looking to Purchase a New WELE LB321?